199 Lukie Points will be rewarded to you when you buy this. 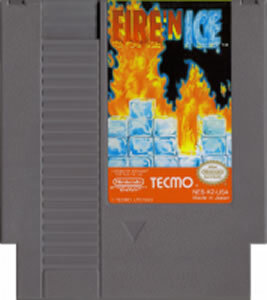 Fire and Ice original NES Nintendo Game cartridge only - Cleaned Tested and Guaranteed to Work! 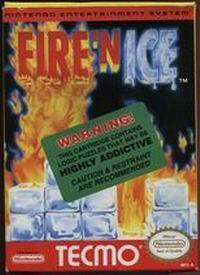 Fire 'n Ice is a puzzle game released in limited numbers by Tecmo. It is the prequel to Solomon's Key, and is known as Solomon's Key 2 in Europe and Solomon no Kagi 2: Coolmintou Kyuushutsu Sakusen (Solomon's Key 2: Coolmint Rescue Mission) in Japan. 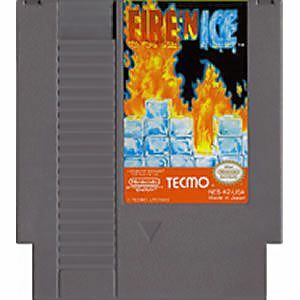 The aim of the game involves players extinguishing all fires in a level in order to proceed. 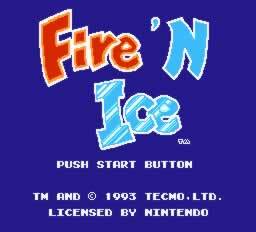 They do this by having the ability to create or melt ice (in a Lode Runner style) or kick ice onto the fires. 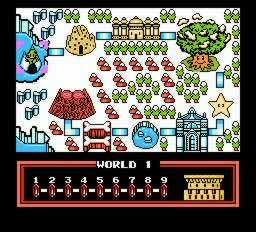 This game also has a level editor (which may expose some bugs that substantially affect the game mechanics), but only the Japanese version permits saving the levels one creates.